PVRIS, Party Nails and Lights made waves at Nashville’s Marathon Music Works on Friday. Party Nails, the musical brainchild of Los Angeles native Elena Belle Carroll, was first to hit the stage. The fearless frontwoman set the tone with a range of vulnerable yet upbeat hits that kept the audience dancing. From drum battles, to catchy hooks, to crowd engagement, headliner PVRIS had it all. It was clear this passionate trio from Massachusetts felt right at home in Nashville. 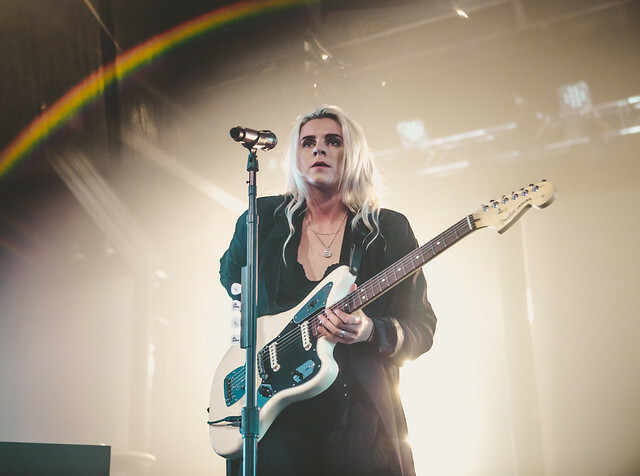 The effortless blend of Lynn Gunn’s vocals, Alex Babinski’s sultry guitar and Brian MacDonald’s grooving bass left the audience craving more. In addition to its energetic stage presence, PVRIS brought its personal aesthetics to the stage. Backed by glowing LED monitors and street lamps, the performance was truly a memorable experience. Photos and article by Olivia Amaral.